There are many reasons why someone may develop a dental phobia, one of the most common being a previous bad experience during a dental visit. Almost everyone will have experienced pain as a result of a visit to the dentist at some point and, especially if this experience was during a formulative period such as childhood, this can cause strong negative connotations related to the dentist. 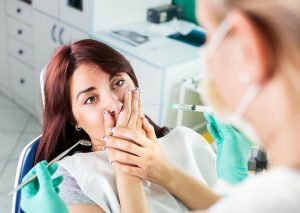 It is often said that the first step to overcoming a problem is admitting that it’s there, this saying remains true for dental phobias, when approaching our fears regarding the dentist the first step in overcoming them is to accept that there is a problem in the first place and then begin to identify the causes of the phobia. Once you have identified the root of the problem you can begin to tackle it. It’s important to remember that the longer dental care is avoided the more lengthy, expensive, and painful treatment will be when it is eventually sought. Essentially, avoiding dental treatment for fear of pain creates a self-fulfilling prophecy, creating a negative experience which can reinforce the individuals resolve to continuing to avoid the dentist in the future. With this in mind, one of the best ways to reduce your anxiety when visiting the dentist is to practice good dental hygiene as this will ensure minimal treatment is needed at your next visit. It goes against our instincts to allow ourselves to be vulnerable, and lying in a dental chair while relinquishing control to a dentist is certainly a vulnerable position. As well as this, the dentists is full of loud and dangerous looking metal instruments which we must allow near us as part of the treatment process, further creating a feeling of vulnerability. If your phobia is linked to the feeling of being out of control then use your initiative to take control of the process. Ask questions about the procedure, ask to look at the unfamiliar tools and become accustomed to them, and develop a way of communicating when you need a break during the treatment process to ensure you feel more in control during the process. There is no shame in having a fear of the dentist and most dentists will be used to dealing with patients with phobias and know how to calm and reassure you. It is therefore a good idea to let the dentist know beforehand so they are prepared to guide you through the process and help you feel comfortable. As well as the aforementioned strategies, for general anxiety while visiting the dentist, various distraction techniques can be employed. These include guided breathing and meditation which can help you to relax, or listening to music or wearing earplugs which will take your mind off the procedure. In fact, may dentists provide TV screens above the chair to help distract the patient during treatment. Overcoming a dental phobia is undoubtedly a challenge, but it is also achievable and an undeniably vital part of a healthy lifestyle. By overcoming your dental phobia you will be improving your quality of life and making a sound investment in your future health. Dentists are better equipped than ever to deal with dental phobias today so by recognising the issue and talking it over with your dentist you are in an ideal position to overcome your fears. 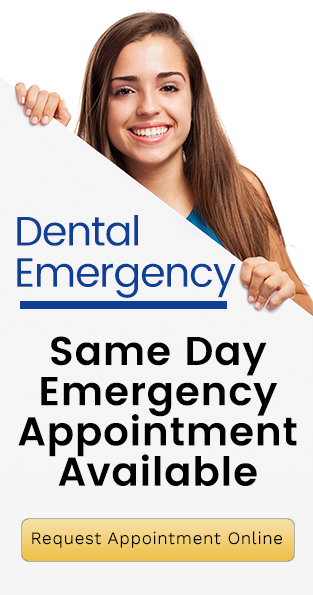 Call us on (02) 6555 5554 to request your next appointment online.